With all 6 contestants nominated in the finale week, Surbhi Rana received the least number of votes. Bigg Boss 12 finale will be held on 30 December. Surbhi Rana on Thursday made an exit from Bigg Boss 12 during the mid-week eviction. 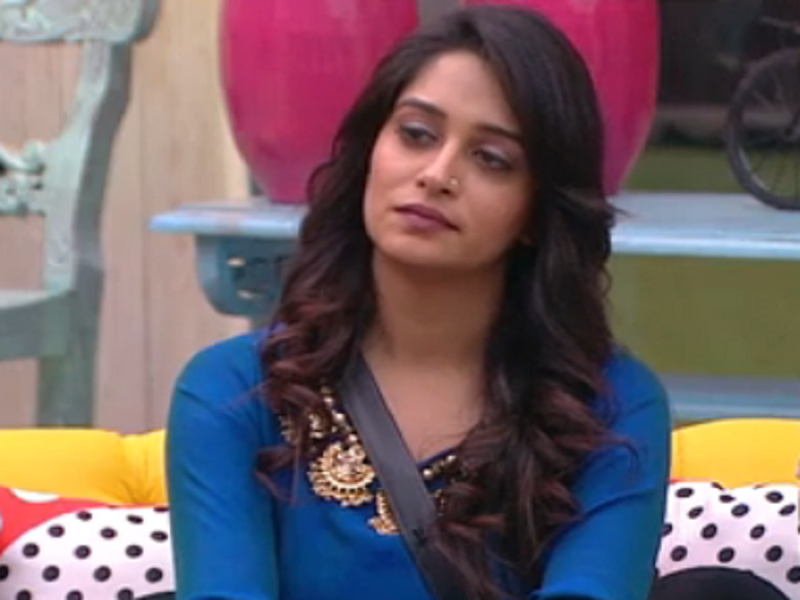 With all 6 contestants nominated in the finale week, Surbhi received the least number of votes. The wildcard contestant has had an eventful journey on the show. Known for being opinionated and straightforward, Surbhi also drew a lot of criticism over her aggressive and abusive personality. Post her elimination the ex-Roadies sat down with for an exclusive chat. Talking about her eviction, Surbhi said, I really never expected to be eliminated from Bigg Boss being just inches away from the finale. To be honest, I really saw myself as the winner. I had all the aspects of a champion, but you can’t win over destiny. So I’ll take this on my stride and continue to work hard. A lot has been said about Surbhi projecting a fake personality in the show. Sharing her side of the story, she said, Surbhi is a girl who believes in expressing herself. She is strong and a powerhouse, that has been well proved in the show. Also I may have been criticised for it, but I believe in always speaking the truth. One has to have a clear perspective of what is right and wrong. I have my emotions, but I never fear to stand for the truth.